Aristotle remains as one of the remarkable personalities Greece has ever had. A philosopher and the pioneer of the scientific methods of inquiry. In essence, he came up with the idea of embarking on scientifically oriented channels of investigating different issues. He remained influential in the field of science and philosophy in the ancient Greek and even in the modern times. Aristotle was born in Stagira, a small Greek town, hence rendering him a native of the country. His entire childhood was based in the said country. His aspiration to become a scientist was as a result of his father’s occupation. Most people may not know that Aristotle’s father was a physician. 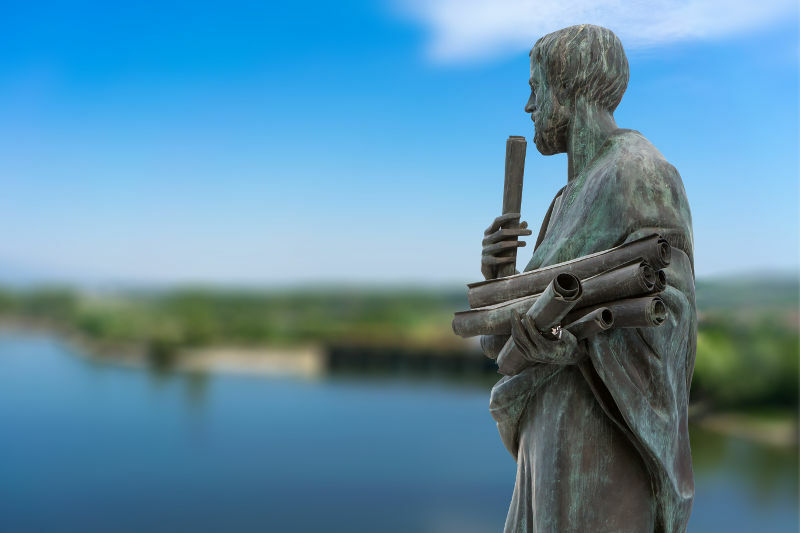 He was too connected to the science field, and this is where Aristotle’s passion grew. Unfortunately, Aristotle did not have much time to borrow ideas and inspiration from his father. Nichomachus (the father) died when Aristotle was at the age of 5 years. This, however, did not stop Aristotle’s passion for becoming a scientist who would create a global impact. Aristotle was lucky enough to grow under the watch of a supportive guardian who ensured that he underwent all the necessary steps of growth. 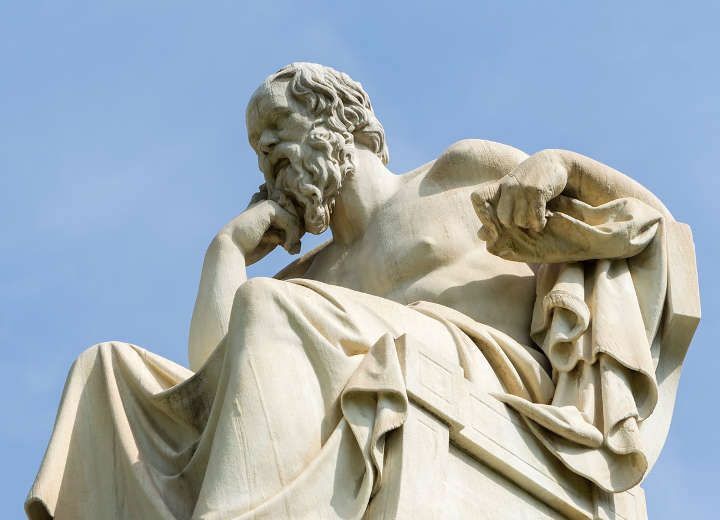 It was until the age of 18 years that Aristotle transferred to Athens and joined Plato’s academy with the interest in pursuing scientific subjects. In essence, the school was focused on philosophy hence serving as a perfect match for Aristotle’s interests. He remained in Athens until the age of 37 years. Just like any other philosopher, Aristotle had his interests. That explains why he did not have a compatible relationship with Plato. Although Aristotle spent time with Plato, it came a time when they parted ways as Aristotle considered focusing on his interests. Upon breaking up with Plato, Aristotle has the mandate of seeking refuge in another place, particularly one that had his interests covered. It did not take long until he merged with Xenocrates. At this juncture, they opted to settle under the leadership of Hermias since this was apparently where both could have made their dreams a reality. To cement his relationship with the ruler, Aristotle got married to Hermias’s niece, hence rendering him an essential personality in the ruling family and the country at large. It was quite unfortunate that Aristotle did not have ample time with his wife. She was killed by the Persians, a moment after they got married. This, however, did not cease his advantage as the member of the ruling family. He got his part of philosophical influence from the exposure in the royal family. Interestingly, it came a time when Aristotle tutored Alexander The Great. The young Alexander was by then schooling in an institution based in the Court of Philip of Macedon. It was in the interest of pursuing his dreams that Aristotle found himself in the location above. Aristotle was considered as the molding personalities of Alexander the first. Although much of the important education Alexander got from Aristotle remains undisclosed, the fact remains that Aristotle made a remarkable impact on the life of Alexander. The main achievement, in this case, was that Aristotle’s name grew more prominent as a result of molding such an influential personality academically. It seems that Aristotle’s interest in Athens was still profound. He was again compelled to work in Athens even after leaving the place for a considerably long time. This time, he came back to Athens with an added advantage since he was under the protection of Alexander The Great. In fact, he made his way back to Athens as a representative of Alexander. His triumph in Athens this time came with a philosophy school, which was solely owned by Aristotle. The name of the school was strategic and symbolic. He named it Peripatetic School, which was adopted from the phrase ‘ a walk with a series of columns on the side.’ It was in his interest to create the name of the school while communicating a particular meaning. One of the unique things about the school is that the mode of offering lectures was different from the usual. Aristotle saw it necessary to divide the talks into two, whereby one session took place in the morning while the other one took place in the afternoon. In his thinking, he opted to offer the difficult lectures in the morning, while the easy and the most popular ones in the evening. In the interest of his safety, Aristotle had to flee Athens upon the death of Alexander. It is worth noting that all the while that Aristotle ran the school, he was under the protection of Alexander The Great. This implies that there were some enemies after his life. In the absence of Alexander, he was left with no choice other than leaving Athens. After leaving Athens, Aristotle went to Chalcis where he spent the rest of his life. It was there that Aristotle succumbed to intestinal problems. However, in as much as he died in the city mentioned above, it was in Athens that his legacy stood firm. He managed to run a philosophy institution in Athens where he impacted numerous lives, hence the strong heritage there. Aside from the places that Aristotle worked before, he was also very much oriented to literature. History has proven that Aristotle was indeed a great writer, based on the writings he made. Although Aristotle managed to compose a handful of writings, only a few of them are in existence today. The few surviving writings of Aristotle are as a result of the strong custodian of Plato and the academy. It is not clear where the other writings were placed but the fact remains that Aristotle had made a lot of them. In essence, there is a believe that Aristotle had managed to author slightly over 200 writings. However, only 31 of them are in existence today. It is believed that Theophrastus was able to preserve some of Aristotle’s writings, but only for a while. When Theophrastus died, most of Aristotle’s works that he had stored were hidden such that no member of the public would access them. That was until the start of the first century. The writings of Aristotle were brought to light again, whereby they were taken to Rome for editing. The texts that are in existence today are not the original Aristotle’s work but revisions done in Rome. However, much of what that remains in writings is enough to uphold the legacy of Aristotle. Aristotle focused on creating writings in the form of dialogues. In other words, the writings were structured in such a manner that two or more individuals were engaging in a conversation. However, this does not mean that Aristotle was focused on one form of dialogue only. He took many kinds of such. For instance, some of his writings bore the element of poems rhetoric. He was also involved in many practical works especially. Aristotle was somewhat general regarding audience choice. He was very much interested in addressing the public. That explains why he was well known for using the most famous philosophical themes. The content of his work was inspirational. In essence, he aimed at reaching out to people in all levels. The best part is that he was able to reach out to his target audience effectively. Aside from that, it was interesting how Aristotle made his communication to his audience easy and comprehensible. Any person who has read the work of Aristotle can confirm that he uses a straightforward and understandable language. Unlike other ancient philosophers and writers, Aristotle did not employ strong vocabularies and jargons in his work. Tends to confirm his willingness to reach out to ordinary people even those in low levels of education. The language that he used was common in all his works, hence making it possible for him to maintain a common theme, and above all his identity. Aristotle also dwelled on historical research. In fact, part of his many writings was all about history. ‘Constitution of Athenians’ is one of the writings that confirm Aristotle’s ability to write historical materials. In fact, the writing as mentioned above is one of those that formed an extensive collection of constitutions in Greek. The writing is political but based on history. However, the writing diverted a little and gave a contrast between scientific and historical works. Upon establishing his philosophy school, Aristotle was able to garner a high population. This prompted him to come up with a place that students would refer for educational benefits. Under the Lyceum school was an extensive collection of manuscripts. This was considered the world’s first vast library ever. It housed documents in different disciplines, although much of it was philosophical. The idea of establishing libraries under educational institutions was borrowed from Aristotle. One sure thing is that Aristotle impacted on the lives of many through tutoring. However, most people may not know that Aristotle’s name and prominence came from his capacity to tutor great world personalities of all time. While some people only know Alexander The great as a student of Aristotle, there are still other personalities who benefited from his lectures. Ptolemy and Cassander were also students of Aristotle. The figures above later became kings and powerful rulers. In fact, his return to Athens was under the protection of Alexander The Great. This confirms that he was indeed a significant force in the philosophy arena. Unfortunately, Aristotle lost his son in a battle when he was very young. As a result, Aristotle decided to work towards upholding the memory of his son. In other words, all that Aristotle did was to memorize his son and his achievements even as young as he was. One of the critical works that Aristotle did in memory of his son was Nicomachean Ethics. This writing was oriented towards understanding humans on individual and societal levels. He was in essence on a quest to understand the manner in which human beings relate with nature. He did many other writings in the same theme, and this was in the interest of upholding the memories of his deceased son. Much of what history holds was that Aristotle was married to the niece of Alexander The Great only. However, this is not the entire truth. Aristotle got married again after the first wife succumbed. What is more interesting is that Aristotle got married to a slave. He fell in love with Herpyllis, a former slave, and they even bore a son who they named Nicomachus. This is the same son who later died in a battle. It is also worth noting that the first Aristotle’s marriage bore him a daughter, who she named after her mother. History, therefore, confirms that Aristotle was a father of a son and a daughter but from different mothers. In the interest of understanding nature, even more, Aristotle decided to understand what animal anatomy is all about. It was for this reason that he began dissecting animals. He believed in observing and noting down what he saw. 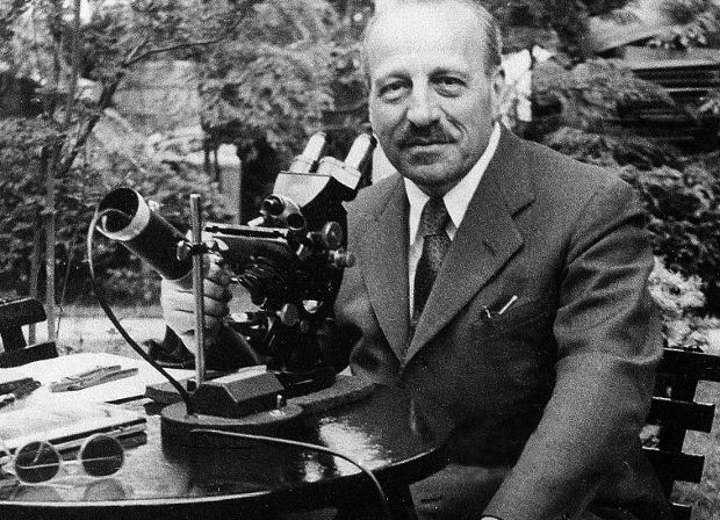 He also took significant steps and engaged in practical work, and this is where animal dissection came from. As a result, other philosophers borrowed ideas from Aristotle since he was already a step ahead.